For such a number of resorts in Mactan Island,Pacific Cebu Resort has a lot to see and to do on that in such wondrous place in Historic Island City to experience as much of the Island experience as possible. 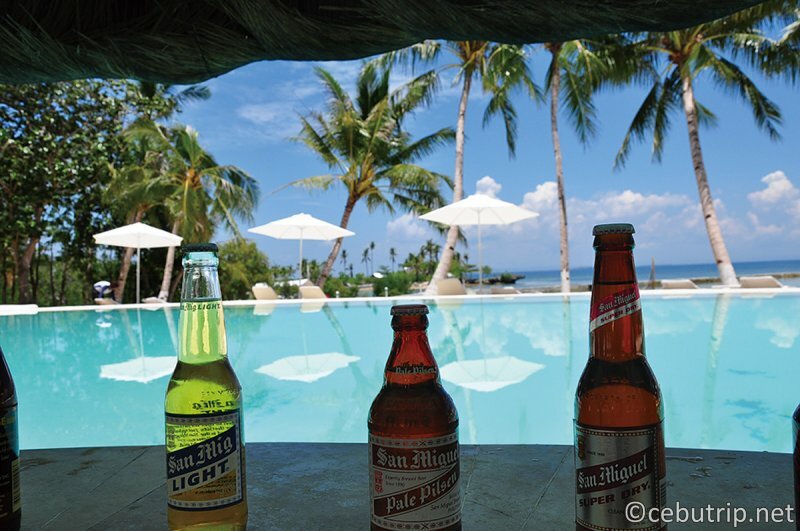 Here is how to best spend day use in Pacific Cebu Resort. Where is Pacific Cebu Resort located exactly? It's 25 to 30 minutes’ drive from Mactan - Cebu International Airport that perfectly situated as one of Cebu's island attraction. Located in Suba-basbas, Lapu-Lapu City, Mactan, Cebu, the quick accessibility in the Malls for shopping, island hopping and birds watching in Olango Island, and great deal for golf enthusiast in Mactan Island Golf Club. Pacific Cebu Resort offers the best deal in day use for only 1300 pesos. The best way to spend the day use is to come early, say the earlier the better to spend a desirable amount of the resort. The day use package is considered to have an inclusion of free use of the facilities, upon the arrival the guest will be given a free drinks, and provided bath towels. After undergoing into a renovation and development, Pacific Cebu Resort interestingly step out into stunningly interior design. Relaxing is the perfect word to describe the picturesque as it boast comfort and given the custom jewelry blue beach.The unbeatable experience for families and group of friends including the kids. For Lunch inclusion during Monday - Friday is Ala Carte consumable of 650 Php, meanwhile Buffet is served during Saturday until Sunday started at 11:30 am to 2:00 pm. Pacific Cebu Resort boast for their 3 pools, with a relaxing lounge of sun beds, by swimming laps in their pristine pool, we encouraged you to spend some quality time with the kids in the children’s pool. With refreshing drinks and cocktails that you can unwind to sunken pool bar that will make your day. The resort lures its charm and makes it hard to leave. They bring twist in your table. It offers great taste heaping with freshest and healthiest locally sourced ingredients. Taste up with an exciting taste of purely Asian cuisine. thy don't have a massive menu for every restaurant in the resorts, instead they focused on the food they come incredibly well. It's purely bliss what this resort has to offer especially with the food. You can't go wrong here. What you need to know about Pacific Cebu Resort? Pacific Cebu Resort is part of sáv Hospitality who is known as an innovative collection of hotels and resorts with its location in the best destinations in the world. Since January 2014, Pacific Cebu Resort is managed by sáv Hospitality enduring with different set makeover and improvement. Acquiring its local culture and art in culinary sensations. Taking pride by Mr. Edwin Chuang, the CEO, sáv is a new lifestyle hotel/ resort brand under Chuang’s Consortium International Limited, reflecting an innovative of hospitality. Sáv Hospitality means S – Style. Stands as 'everything we do, we’re in vogue', A – Attitude. Stands as 'We are passionate'. They're customer oriented. They prioritize the care about the well-being of their guests and employees, V – Vision. 'We are visionaries on a mission to provide you an environmentally friendly, technology savvy, unconventional hotel experience'. Treat yourself here, you'll be soak up at the real atmosphere of enjoyment. *You need to deposit "ID" or "500 pesos" for bath towel rental. Returning a towel will return it.